Well, as least I think we are ready for you. 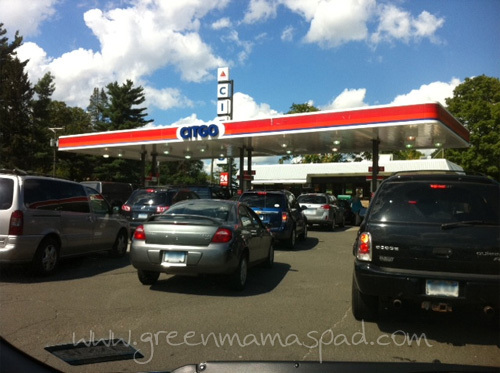 Yesterday afternoon the boys and I headed out to Stop & Shop for a few necessities and then fill up the minivan with gas. Traffic in town was INSANE. Surprisingly, the grocery store wasn't too bad. There was one loaf of Nature's Promise bread left so I grabbed it, but there was still plenty of other brands of bread on the shelves. 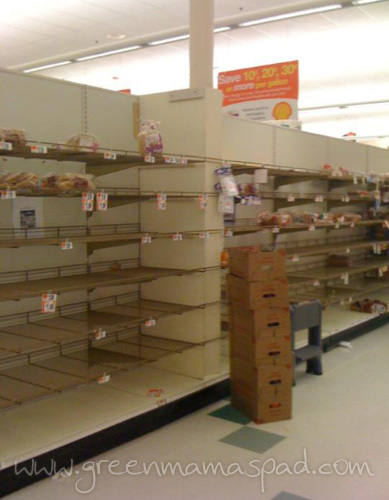 Just a few hours after I left my sister-in-law went in and there was no bread to be found. Photo courtesy of my awesome sister-in-law. On the way back home I headed into the gas station and could not believe how packed it was. There are eight pumps and the line for each was about five cars. Thank god for DVD players and iPhones to keep us entertained while we waited...and waited. 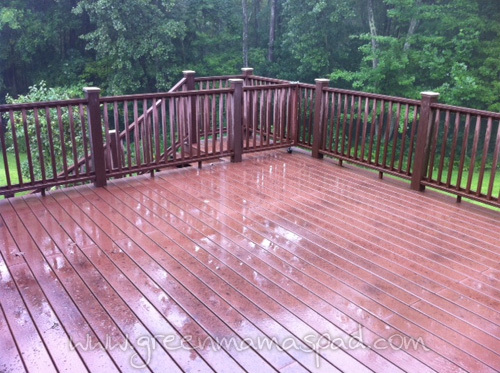 After dinner last night my husband cleared the deck of all of our patio furniture, umbrellas, toys and the gas grill. Everything is in the shed except for the grill which he put in the garage in case we need it. We figure if the power is out for a while we can grill some food. 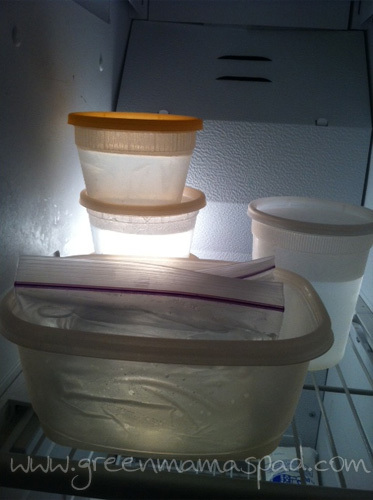 I have been hard at work filling up containers and plastic bags full of filtered water and putting them in the freezer. We are also making bags of ice. We have a freezer box in the basement so if we lose power we will try to pack all of our perishables in there with all of the ice to keep it cold for as long as possible. Hubby also filled several buckets with water for flushing toilets and after baths tonight I will fill up the tub as well. Those old Chinese food containers came in handy. 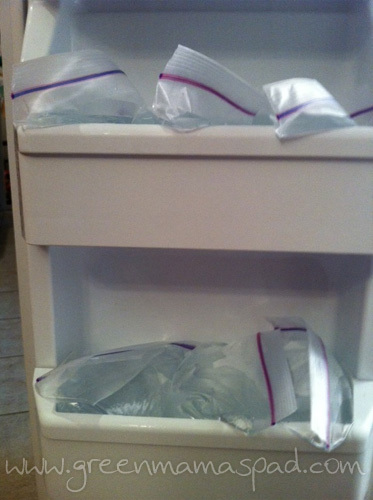 Ziplocs full of water to freeze. We have been getting steady raining for a few hours now. 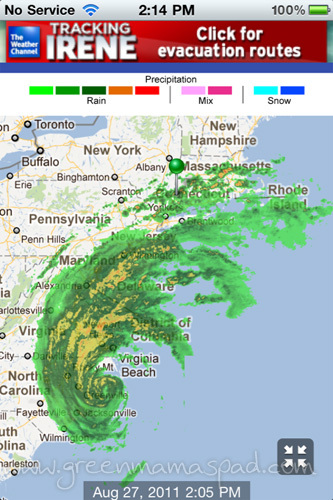 It seems the very edge of Irene is getting near. The projected path has Irene passing right through Connecticut with the eye going just East of us. Needless to say it is a little scary. 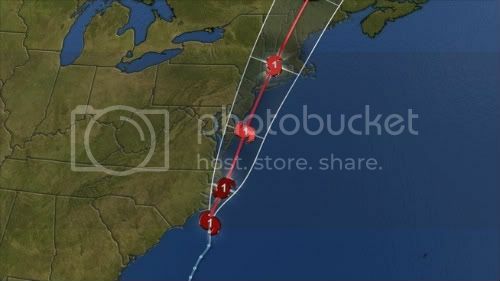 Irene's projected path as of Saturday morning, courtesy NBC Connecticut. It looks like the real heavy rains are going to start around midnight for us. I think we are as ready as we are going to be for Irene. Of course we will monitor the progress but I am trying to not freak out the kids so I am keeping it off the TV for now. For all of you also in Irene's path I am thinking of you and hope you all stay safe. Glad to see you are prepared. Stay safe and I hope all the preparations are for nothing. The empty shelves at the grocery store and the lines at the gas stations are a familiar site since I live in Florida. I hope you stay safe and don't get too much of that nasty storm. Keep us posted if you can. Our market was EMPTY when we went to stock up! 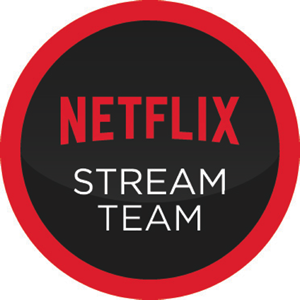 I remember when we had them a few years back! Hope all is well! I'm wondering how you fared. I think it spent a long time over us in NC, so I hope it took some of the punch off by the time it got up to you.